Join Vassals Bina (Bina007), Michal (inkasrain), Paul (SerDinnerRoll), and Zach (Alias) as they geek out to the max about all the things they get right in the recent Sony Pictures animated feature, Spider-Man: Into the Spider-Verse. 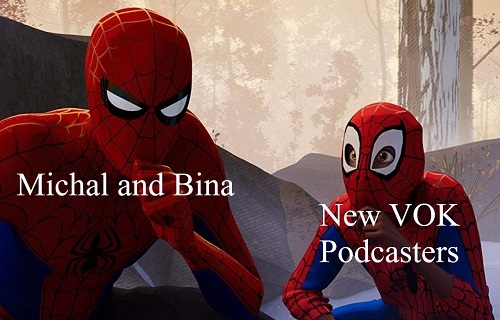 Warning: this podcast will contain spoilers for Spider Man: Into the Spider-Verse. This movie also contains imagery that may potentially trigger a seizure for anyone with photosensitive epilepsy. This entry was posted in Comics, Movies, Podcast and tagged Alias, Bina007, inkasrain, SerDinnerRoll. Bookmark the permalink.